Catherine Porter will be our Guest Quilter at the next meeting on 27 June 2014 at 9.30am. Catherine has done many handcrafts but found her true calling in 2004 with the discovery of patchwork and quilting. 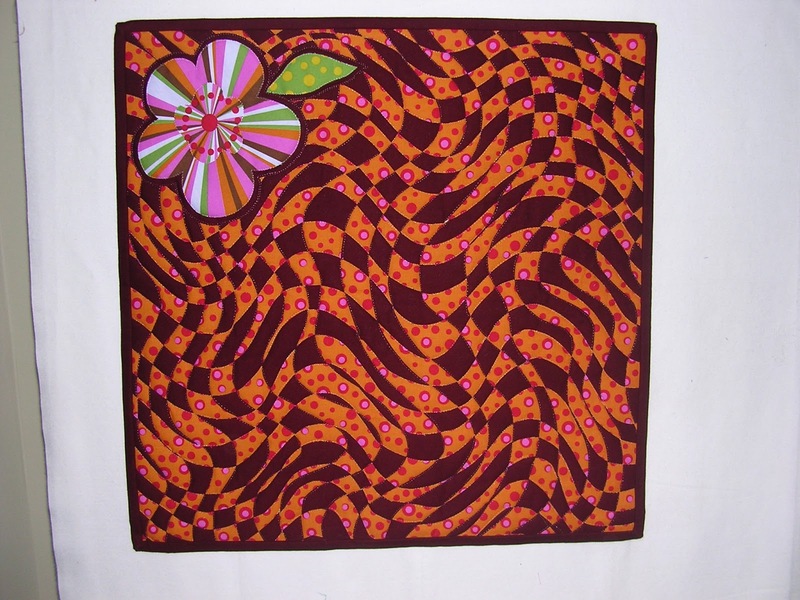 Catherine describes herself as a quilt fanatic, being interested in and working with all manner of styles and techniques. "The following photos show what a quilt fanatic like me does during a total blackout. 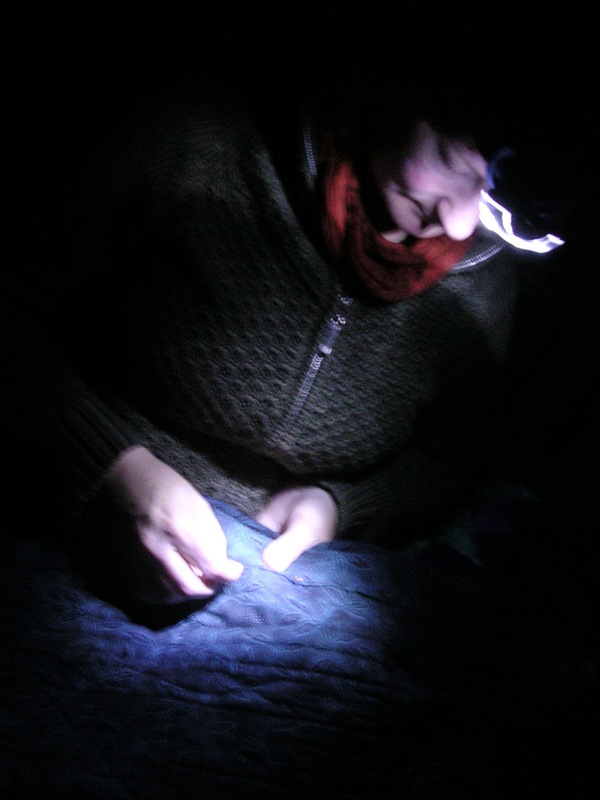 Yes I am sewing the hanging sleeve on my quilt Re-creation (left - which won 4th at the Sydney Quilt Show in 2011) to meet the deadline - with the aid of my camping head lamp while the quilt is keeping me warm as we had no heating with the blackout!" Catherine worked at The Craft Mailbox for 6 years and travelled around Australia to all the major craft shows demonstrating Japanese Meshwork as part of the stand. 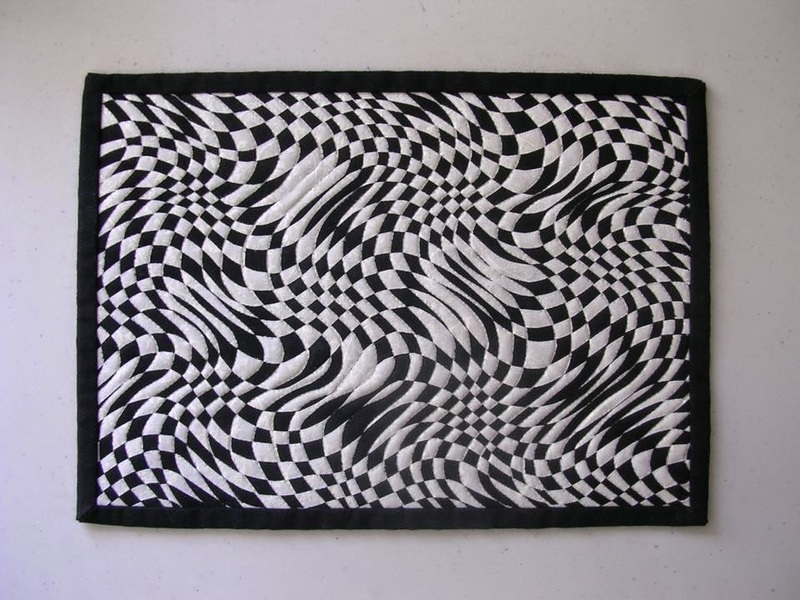 She then took this traditional fabric weaving technique in a different direction and developed her op-art and illusion style. 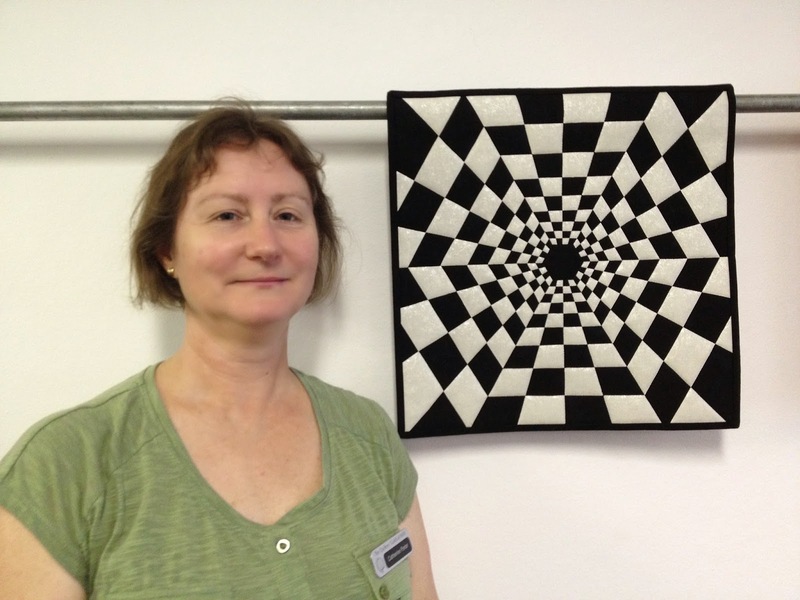 Following many requests to teach she is now a Quilters’ Guild of NSW Inc. Accredited Teacher – Special Techniques. Catherine’s miniature wall hanging ‘Mini Waves’ below was juried into and displayed at both Paducah and Houston quilt shows in 2013. 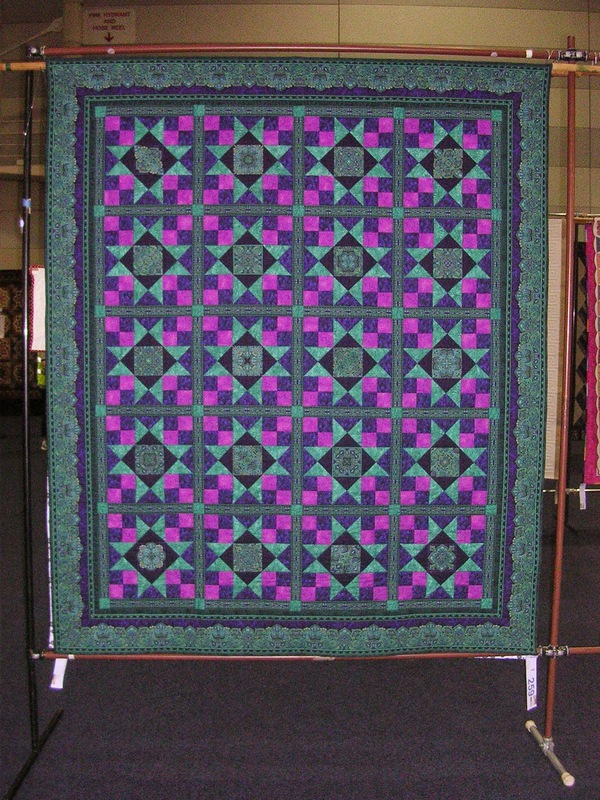 Her quilt ‘Weaving Zigzags’ won 2nd place Miniature (Open) at The Quilters’ Guild of NSW Inc. Quilt Show at Darling Harbour last year. was made for the Guilds’ Hexagon Hype challenge received Judges Commendation. Catherine says her greatest creation however is her identical twin girls who are now 22.